The English Cheesecake Company came to my attention a few years ago when a friend from London sent me a link with their personal recommendation, knowing how much a certain member of my family loved cheesecake, and that t his would give me the chance to get them something nice while at the same time blowing them away with the quality of the product. I cannot tell a lie, the prices here are not those of a supermarket cheesecake that you can buy for less than £5 and would be a perfectly acceptable end to a meal. These cakes are high quality and therefore a little more pricey, so unless you’re a cheesecake fetishist these are not going to be an everyday purchase. These cakes are, in my opinion, best reserved for a special occasion gift, celebrating a lazy weekend at home in your bathrobe or even as an alternative wedding cake. The company take your usual assortment of cheesecake bases and top them with a host of different garnishes, but due to excellent ingredients and a sharp eye for presentation, they produce outstanding and delicious versions of both standard and the more dramatic cheesecakes out there (Baked New York Vanilla, Alphonso Mango Coconut Cabana, Sicilian Lemon, After Dinner Mint), as well as offering a predominately chocolate/fudge range for those who want a quality dessert but don’t necessarily like cheesecake (Charlie’s Original Factory Fudge Cake, Spiced Orange Chocolate Brownie Fudge Cake, Flakee Flakee Milk Chocolate Cakee). All cakes can be further personalised, and most come in an assortment of sizes, allowing you to purchase by serving slice amount if sharing with others, and they also offer a Bespoke option where you can ask them to create the cake of your dreams. 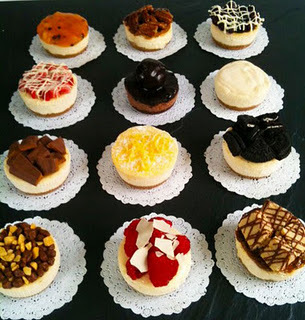 They also offer a range of ‘small but perfectly formed’ Cheesecake Minis, allowing you to either sample an event cake in advance or buy a variety gift for someone (even if that someone is your cat), and the selection contains 12 of their most popular cheesecakes. 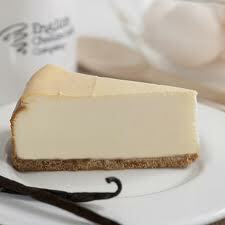 They dispatch the cheesecakes via a courier company, and send them out frozen with a next day delivery promise, however relying on a courier to deliver time-critical perishables comes with its own issues which some cheesecake aficionado’s have had to endure. Set up by estate agent Philip Weldon, and later roping in friend-of-a-friend Alan Laurier to help, this company was founded on Weldon’s love of cooking. Initially starting as a hobby, he worked through the available cookery books he could get his hands on, then asked his family for recipes; with his Aunt’s aunt’s vanilla cheesecake recipe inspiring him to play around with her original instructions and make a number of his own improvements. He then turned up to parties and gatherings with a cheesecake in hand, until some friends who owned a delicatessen asked Weldon if they could stock one of his cakes. 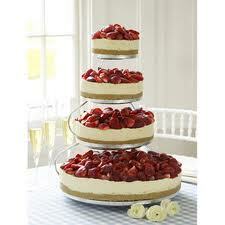 That first request rapidly turned into 30 per week as the cakes popularity increased via word of mouth. 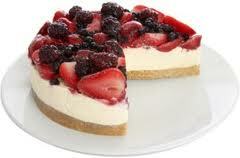 In 1992 he quit his estate agency regional manager job and established the English Cheesecake Company, cooking out of his house and supplying an increasing number of high-profile clients like Selfridges, and over the next few years gradually winning large chains clients such as Pret a Manger, and eventually moving his cooking enterprise out of his kitchen and into larger premises. This is an indulgence worth treating yourself or a loved one to, and with the cheesecake range on offer the only problem will be choosing one. Or two. Or five.